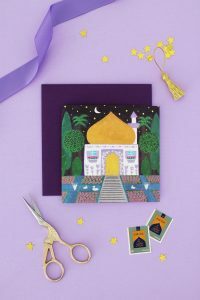 Eid Guessing Game – Hello Holy Days! In some languages, like Arabic and Urdu, Eid money is called “Eidi”. 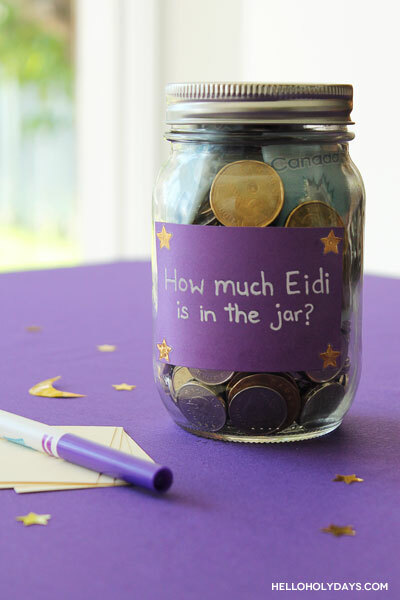 The objective of this game is to guess how much Eidi is in the jar. Make a small handmade sign to stick on the jar and put out a marker (or markers) and some small pieces of paper to act as ballots. Have each guest write their name on the ballot and their guess for how much money they think is in the jar. The player to guess the closest to the real value in the jar wins a prize! When playing this game with kids, make sure you offer the same prize as all the other games at your party. In the spirit of Eid, after the game you can donate the jar to charity if you like. When playing this game with adults, you can have the winner take home the entire jar!